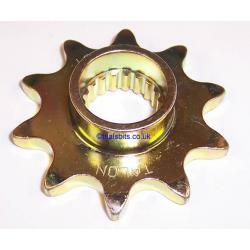 A Talon gearbox sprocket for the Montesa 4RT models. This is supplied with 10 teeth, which is the standard size. I also have a 9 tooth sprocket, if you want to lower your gearing, please choose the preferred one from the dropdown. APOLOGIES WE ARE OUT OF STOCK OF 10 TEETH.